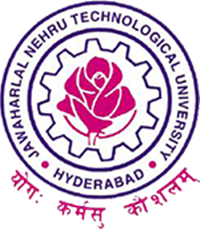 JNTUH B.Tech 1-2, 2-2, 3-2, 4-2 Semesters Regular/Supply Exams Fee Notification May 2019, Jntu hyderabad Examination Notification for B Tech Regular & Supply I-II, II-II, III-II, IV-II MAY-2019. The Principals of the constituent and affiliated Engineering Colleges are here by informed that the University Examination Branch issues notification for the conduct of B.Tech Sem-II Regular /Supply and Sem-I Supply examinations during May-2019. B.TECH – I YEAR – II SEMESTER REGULAR EXAMINATIONS (R18) REGULATIONS. B.TECH – I YEAR II SEM SUPPLEMENTARY (R16 REGULATION) ONLY. B.TECH. – II YEAR II SEMESTER REGULAR/ SUPPLY EXAMINATIONS (R16) REGULATIONS. B.TECH.-II YEAR-II SEMESTER SUPPLEMENTARY EXAMINATIONS (R15/R13/R09) REGULATIONS. B.TECH – III YEAR – II SEMESTER REGULAR EXAMINATIONS (R16 ) REGULATIONS. B.TECH – III YEAR – II SEMESTER SUPPLEMENTARY EXAMINATIONS (R15/R13/R09) REGULATIONS. B.TECH – IV YEAR -II SEMESTER REGULAR EXAMINATIONS (R15) REGULATIONS. B.TECH – IV YEAR -II SEMESTER SUPPLEMENTARY EXAMINATIONS (R13/R09) REGULATIONS. The regular students of IV B. Tech. II Semester have to pay Rs.800/- additionally towards the provisional certificate fee (Rs.200/-) and the original degree certificate fee (Rs.600/-), in additional to Rs.760/-towards semester exam fee. The payment of Original Degree certificate fee is mandatory. The students have to contact their concerned Principals for online registration of Examinations ( both Regular and Suppl.). For the forthcoming University Exams, the exam registrations have to be directly carried out by logging in to University registrations server from the respective colleges. For the students applied for RC/RV, if the results are not declared by the time of start of registrations for exams., the students are advised to register as per the time schedule given in this notification even for the subjects in which they have failed and waiting for RC/RV results. However, if the student passes the examination in RC/RV results, the examination fee paid for passed subjects will be refunded by the concerned Principals and the registrations of that student in that subject will be automatically deleted. what about exams time table? sir, release the dates for “Project Viva” for B.tech 4-2 sem people. You have to release dates soon because most of the people are waiting for that because they want to know when to finish their project. Please inform me any notification about jntuh b tech exams time table and supply time table or results please inform me. ….. Please release the 2-2 supply results in nov/dec…. Sir jumbling is continued are not ….plz tell me sir it is very hard process for taviling and other problems….